Summer Beach Exploring continues..soaking myself in crystal clear water, enjoying white the sand, witnessing the majestic sunrise and the dramatic sunset, stargazing at night are the things I am looking forward to in each camping activities lined up on the beach. Since I am the type of person who prefer less crowded beaches, underrated and not so touristy ones, I am excited to see what this next summer destination has in store for me. Burot Beach is one easiest to reach summer destination for nature lovers especially backpackers and shoe string budget beach bummers. 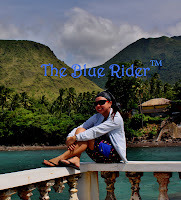 All you have to do is ride a bus bound for Calatagan Batangas, bring your tent, backpack and your sense of adventure and you’re all set for a great day of relaxation (we’re not so lucky though because we went here on a weekend, crowded). In the past, they say that during weekdays you might get the chance to have the place all by yourself. We left Manila past 6 in the morning on a private vehicle and started traversing the road all the way to the South. Our first and last stop over was in Tagaytay to grab something to eat. Of course, if Tagaytay comes to mind, it’s the mouth watering Bulalo. With full stomach,we’re back on the road and after 2 hours, we finally reached Burot Beach. Welcoming us was a stretch of semi-fine cream sand beach with calm waters and beautiful rock formations. Aside from that, the place is also a great campground as it is dotted with trees. The beach is a private property (SM Group of Companies) but is open to public for a fee. Day tour is Php 65.00 pesos, while overnight stay is Php 130.00 pesos per person. No electricity, no resorts or posh accommodations but there are native huts built already. It is still best to bring your own camping gears if you plan to stay overnight. They have tents for rent but at a very expensive rate (Php 300.00). There is also a small store selling mostly basic needs if in case you forgot something. Arriving almost noontime would only mean one thing, unbearable heat of the sun. Even so, we still started to pitch our tents and prepare for lunch. After we settle ourselves and have lunch, it’s time to explore the beach and make a splash. Coming from Calaguas, the previous week made me set the expectation bar to the same level, I felt a little disappointed though that the sand is not that white and fine and the water is not so clear (which is my fault of course, hehehe!, do not set your expectation too high) Nevertheless, this beach is still lovely and unique in its own way: Ruggedly Charming! This part of the beach have lots of rock formations, just be careful when getting close as these are sharp edged stones, you don't want yourself to get scratched I suppose. This is where we pitched our tents. We had a quick swim on the beach before exploring the other parts. Water temperature check, even at 4 in the afternoon the water is still warm. There are a lot of sea weeds, so its recommended that you wear aqua shoes. The seabed have slippery rocks when you get near the rock formations. Oh, I nearly forgot, beware of sea urchins and jellyfish too! Moving towards the left side, facing the beach, is another great area for campers. This area is uncrowded and more secluded. This makes an ideal place to have some quiet time, to unwind, slow down and re-connect with nature. I spend more time roaming this part while waiting for the sunset. Here’s my favorite part: Sunset. By far, one of the most breathtaking sunset I’ve ever seen and captured. I can’t take my eyes off for every second that light softly fading away. The gentle glow over the horizon, its as if the colors and intensity of the light is just enough to calm you. The setting sun’s radiant face was mirrored by the shimmering water of the sea. A scene to behold, enough to keep a smile while completely in awe! It’s time to for dinner and socials with my new found travel buddies. Other campers have their own way of having fun; some made campfires while others have fireworks and sky lanterns. Warning for girls, their comfort rooms aren’t as good as the ones in a hotel. They have about 5 to 6 comfort rooms already but may run out of water when used simultaneously. Running water for taking a bath is available for free. The boatmen also offers Island Hopping (3 Islands, i don’t know what are those since we didn’t go for it) for Php 100 per person. Calatagan is known for its golden sunset and to add up the fame of the place, Burot Beach is the next big thing. May not be one of the best beaches but definitely worth seeing. So while it is still unspoiled, pack your bags and head over to Calatagan. Thanks Mich for inviting me to join your cool group. Looking forward to more adventures!